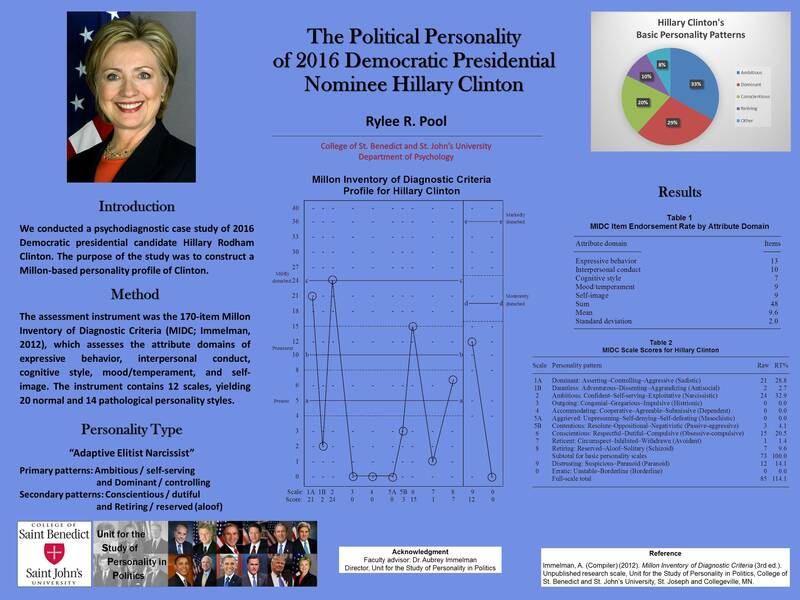 The purpose of the Unit for the Study of Personality in Politics Media Tipsheet is threefold. First, it offers political reporters looking for a fresh story angle a sometimes unique, often unconventional perspective on politics. Second, it serves as a repository for research-based political analysis. Analyses and predictions in the Tipsheet are, in effect, research hypotheses to be tested prospectively against actual event outcomes, which in turn serve to refine the guiding theory of personality and leadership that informed the analysis and prediction in the first place. Third, the Tipsheet aims to provide voters and reporters with politically unbiased, nonpartisan insights into aspects of candidates’ personal character likely to impinge on their public lives, campaign style, policy preferences, and leadership prospects. At the start of the general election campaign immediately following the Republican and Democratic national conventions, the “smart money” 100 days before the 2016 presidential election is on Hillary Clinton to win in a landslide. 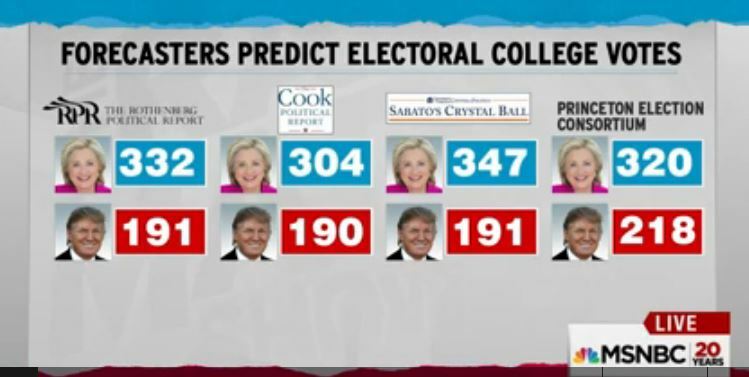 As Rachel Maddow reported July 29 on MSNBC, the Rothenburg Political Report, the Cook Political Report, Sabato’s Crystal Ball, and the Princeton Election Consortium all projected more than 300 Electoral College votes for Clinton (270 needed to win). 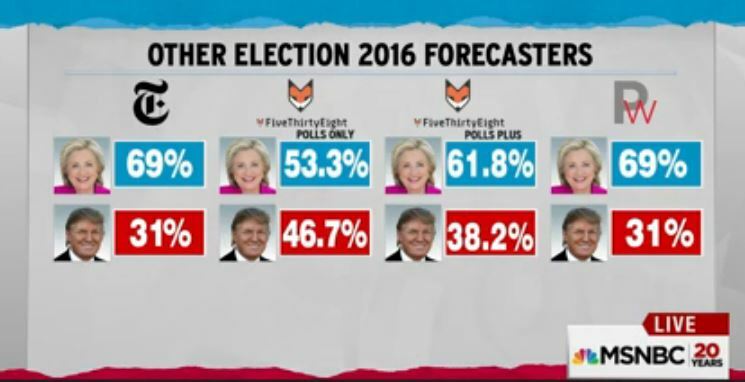 Maddow’s discussion of the election-outcome predictions starts at 10:40 on the video segment below (“The Rachel Maddow Show,” July 29, 2016). In contrast to the conventional wisdom, my own presidential election forecast model, the Personal Electability Index (PEI), projected as early as August 2015 that Donald Trump would defeat Hillary Clinton. 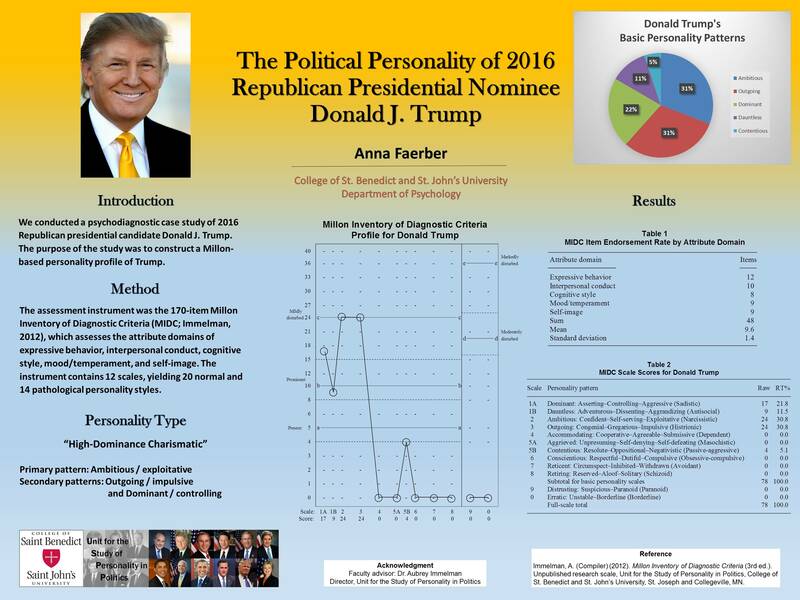 The PEI, developed at the Unit for the Study of Personality in Politics (USPP), has accurately predicted, before Super Tuesday, the outcome of every presidential election since 1996. On the psychology of politics, media attention has been focused on Donald Trump’s narcissism (see “Amateurs analyze Trump’s mind, but should the pros do it?” by Seth Borenstein, Associated Press, Aug. 11, 2016). However, in the context of the 2016 U.S. presidential campaign, Trump’s narcissism is not the main issue; Donald Trump and his Democratic opponent, Hillary Clinton, have identical Millon Inventory of Diagnostic Criteria scores on narcissism (MIDC scale 2: Ambitious = 24). Trump’s impulsive tendency is exacerbated by his remarkably low score on conscientiousness (MIDC scale 6: Conscientious = 0). Clinton, in contrast, is substantialy conscientious (MIDC scale 6: Conscientious = 15), which is associated with emotional restraint, self-discipline, and prudence. Interpersonal conduct: Attention-seeking/Flamboyant — actively solicits attention and approval; vain and exhibitionistic, seeking to be the center of attention). Self-image: Gregarious/Charming — views self as sociable, stimulating, and charming; enjoys the image of attracting others by physical appearance and pursuing a busy and pleasure-oriented life. Persons who score high on both the Ambitious and Outgoing scales are clever and charming; they are skilled at attracting and seducing others. Though highly ambitious, Ambitious–Outgoing individuals also tend to be undisciplined, traveling an erratic course of successes, failures, and abandoned hopes. Needing excitement, stimulation, and challenge, they are easily bored by routine activities and they often act impulsively. They exhibit a restless, driven quality, which may be accompanied by a deficit in social dependability. Because agreements are often hastily assumed, they may have trouble honoring their promises or meeting their obligations. Ultimately, they are more attuned to their own needs than to those of others. Though fundamentally self-oriented, these individuals are facile in the ways of social seduction, often feign an air of dignity and confidence, and are skilled in deceiving others with their clever glibness. They fabricate stories to enhance their worth and leave behind a trail of broken promises and outrageous acts. Fabrication serves both to nourish their inflated self-image and to seduce others into supporting their excesses; however, their disregard for the truth and talents for exploitation and deception are rarely hostile or malicious in intent. Typically, it is simply a product of their narcissistic attitude of omnipotence and their profound sense of entitlement; fundamentally, they are not malevolent. Criticism, confrontation, and punishment are unlikely to make them change their ways and, in fact, may prompt dismissive rage or anger.